BRYAN EATON/Staff photo. 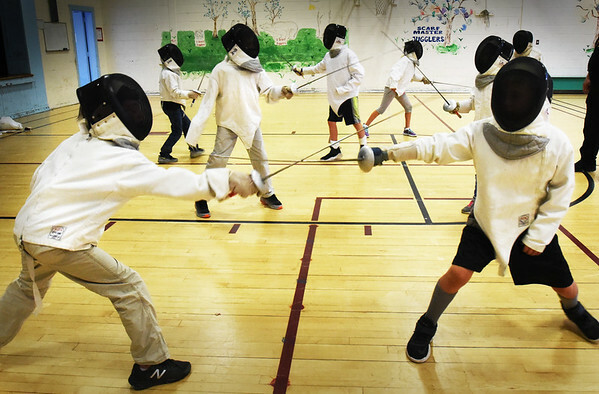 Jack Mullarkey of 3MB Fencing Club brought the sport of fencing to the Newburyort Youth Services Summer program this week at the Brown School gymnasium. Monday the youngsters learned about the equipment involved, and Tuesday they learned basic moves as lunging.